Long Beach Island, NJ - LBI - is conveniently located close to Atlantic City, New York, and Philadelphia and is home to one of the 20 most beautiful beaches in the United States. 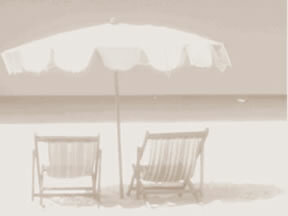 The laid-back island also has plenty of great restaurants, shops, and activities for everyone. This clean and modern oceanfront duplex house has full ocean views from both floors and central air. Many amenities are included to minimize your packing requirements and enhance a relaxing week overlooking the Atlantic Ocean. 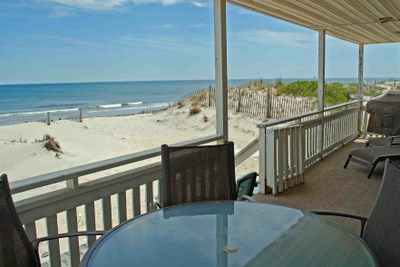 The house is located in the quiet, less populated southern part of the island; however it is still only a 1/2 mile from the border of Beach Haven borough - home to many of the island's amusement centers, restaurants and shops. The rental has private access to the beach and plenty of on-property parking. Pets and smoking are not permitted. First Floor Deck. 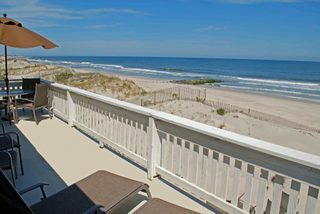 The first floor has 3 bedrooms, 1 1/2 baths and a full house-width oceanfront deck. Sleeps 8. View more first floor photos. Second Floor Deck. The second floor has 3 bedrooms 1 1/2 baths and full house-width, oceanfront deck. Sleeps 8. View more second floor photos.